Our Plain white Avery compatible scale labels can be used with the following scales: Avery M Series, Advantage, Pacscan plus many more. These labels are manufactured by us here in the UK where we use nothing but the best quality material to produce these labels. The labels have been manufactured with a high quality Permanent Adhesive which ensures your labels stay in place. 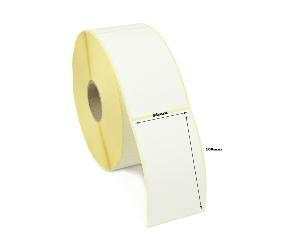 Each roll of labels contains 500 labels and they have a core size of 38mm.